Nashville-based Carrie Ferguson Weir, author of the Bilingual in the Boonies blog, has been named as one of four "Parenting Post Bloggers" on Parenting.com, according to the site and Weir's announcement here. 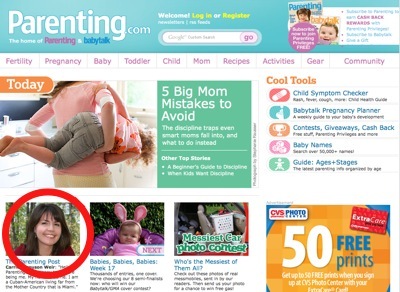 Weir is prominently featured on the Parenting.com home page. You can follow all of Weir's posts on Parenting.com here.